The High Peaks Region is becoming quite well known for their slides and the use of those slides to access the summit of many of the Adirondack’s mountains. 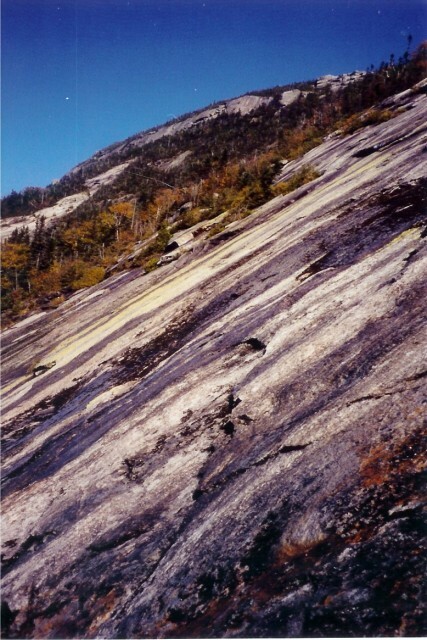 There are even slides that can be found outside of the High Peaks Wilderness. For example, Whiteface has several and Wilmington Peak has a brand new one – still has that new slide smell and everything. Is this popular sport and route selection a good thing? Is it too dangerous and risky? A fad that will die out like baggy pants that hang half way down the...wait that’s still around? It all depends on who you ask and the types of unnecessary risks that one takes while in pursuit. Me, I love it, and I know many others that do as well. With that being said though, I also respect them and the damage they can do and the unforeseen circumstances they can place a climber in. I also know avid hikers that steer clear – mainly due to a fear of heights and exposure, but some just don’t feel comfortable, and that’s fine. 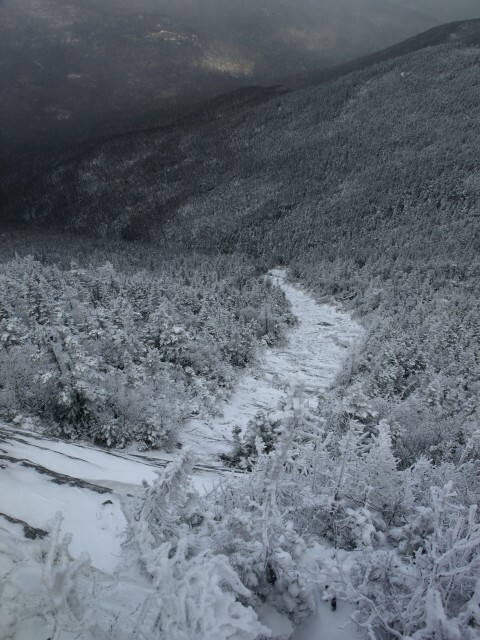 Before Hurricane Irene in 2011, hikers used what slides, were available, to access the mountains. Then after Irene dumped 7.5 inches of rain in the blink of an eye, a couple dozen more slides were created and many of the existing ones were made bigger, longer, and in some cases steeper. Since this weather event, slide climbing has become even more in the limelight and inviting more newcomers to the sport. This is quite simple, before I go out I leave a note as to where I am going, and I never climb a slide solo. I look at Google Earth, which at times really is not help, but on occasion it helps me get a better idea about a slide I have never visited before. The best resource I have and what you can use is the people who have climbed them in the past. These climbers know the conditions, the routes, and the expectations. You can access this information on the web with simple searches, you can use Facebook and join closed hiking groups, and you can join an online hiker forum. I have used all three and of course you need to take the information as it’s presented, but I always ask questions too. I then get out my gear, which is really no more or no less than my normal hiking gear, except I have a pair of approach shoes with sticky rubber soles to help with grip. I don’t climb the slides that need ropes or special climbing gear, unless of course its winter and I have new climbers in the group. When I first started climbing slides I found myself in one very scary instance on the Eagle Slide located on the side of Giant. The Eagle Slide is set up with a set of fingers or feathers as they are referred to. I started out on the less aggressive feather but soon found myself slightly moving too far out onto the rock face and at the base of a slope that was much steeper than anticipate. I was still a bit green to slide climbing, but had a half dozen or so under my belt at the time, so I felt very comfortable with the exposure. However, the rock slab was a bit wet and traction was not optimal, not thinking this would be an issue. Like many days in the summer its hot and dry and it had been very dry for a month prior to this but the moss at the top of the slide was still running and producing the famous “Adirondack Red Slime.” This slime is possibly as slippery as ice in many cases and much more dangerous, because it often goes unnoticed until you are laying in it. Since you are reading this, you can see I made it, but that was the scare that caused two things in me. 1) Keep focused and aware of my surroundings and always look ahead to my next move, 2) Purchase a pair of approach shoes for better traction – I did this almost immediately after payday. This new gem is located in Wilmington on the side of Wilmington Peak, an Adirondack 100-highest peak. I climbed this guy with my fiancé at the time, now married, and it was getting very late in the season. There wasn’t much snow down low but as we ascended the slide the ice and snow started to appear and terrain under us got very slippery. Lucky for us, through proper planning, I figured this would be the case and we packed Microspikes. I prepare for anything in the winter and I usually get it. Deep snow, icy terrain, steep slopes, cold temperatures and high winds – that’s why I love it so much. The Lake Placid Slide on Whiteface Mountain was no different. The base was unconsolidated deep snow, the middle had icy conditions, and the top was a hero steep with high arctic winds. Honestly, I don’t think I have ever climbed a slide in mid spring. Maybe late spring, which is more like summer and early spring which is still really winter, I guess that counts, right? Slide climbing in mid spring is tough and in my opinion a bit more dangerous. I always find the trails to be a corn meal type snow, mud, running water, and very wet all around – why would I want to be on a 45 degree slope with no solid traction under me and a snow layer that might just be waiting to shift? Does the slide reach a trail or a summit? Is there is a section of very thick bushwhacking from the top of the slide to reach my destination? Do I need to navigate difficult terrain to reach the base? Did I pack my approach shoes? Who am I going to drag along with me? How long should this take, and what time will I be home? Is it winter conditions and would rope and harness be a good idea? What kind of traction do I need to bring? Did I pack my camera? What is the weather supposed to be? If slide climbing is on your plate, I recommend you try a less aggressive slide with a mellower grade and friendly conditions. Due your research and slowly work your way up to the tougher ones, but remember to keep focus on your surroundings especially while you are taking photos of the views and the experience. Pick up a pair of either rock climbing shoes or approach shoes. Approach shoes are more comfortable for longer periods of time and will increase your traction immensely. Regular hiking boots and especially backpacking boots have harder rubber on the sole and with that, limit your traction and the smearing effect that a climbing rubber has. Slides are building popularity and are an excellent way to see the back-country but they should be treated with respect and with caution. There is no better time to go exploring and there is no better time to tell someone where you will be exploring. If you are interested in climbing a slide and summiting an Adirondack peak, but wish to have guidance on your first couple, seek out a local mountain guide. Interested in the slides and want to have a closer look. 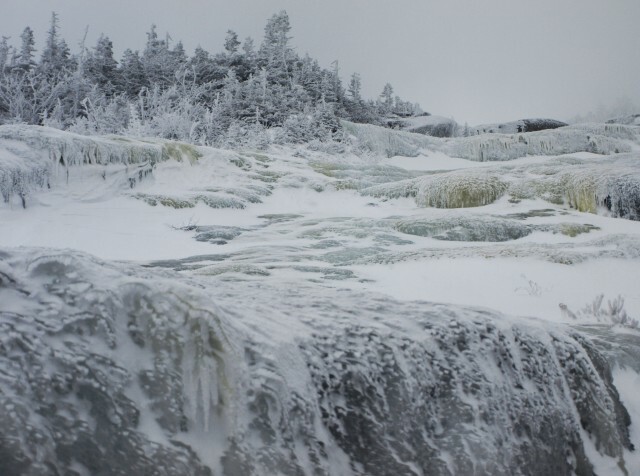 Pick up a copy of the Adirondack Slide Guide, by Drew Haas, at a local gear shop or bookstore. Need some gear, shop around and see what fits your needs the best. Rather just hike for now? The Whiteface Region has miles of trails just waiting for you to explore.